Data on the number, structure, and functioning of delinquent gangs are hard to obtain, and no national-level agency systematically collects and reports gang-related information. Nonetheless, what data are available suggest that males outnumber female gang members 20 to 1 and that delinquent gangs are located in almost all 50 States. In a 1989 survey, 35 cities reported 1,439 gangs, and California, Illinois, and Florida had substantial gang concentrations. The history of gang behavior and violence is traced, and causes and motivations of gang aggression are examined. Psychological foundations of delinquent gangs are discussed in terms of delinquent youth, hyperadolescents, the group nature of gangs, and the effect of gangs on and interaction with the community. Appropriate intervention strategies are explored, including individual-level, community-level, and State-level intervention; judicial and therapeutic approaches; and gang outreach and group-level intervention. Various programs and levels of intervention are described. Particular attention is paid to environmental enhancers of violence, qualities of gang members, theories of delinquent behavior, and gang communications and support networks. Professionals concerned with any aspect of the delinquent gang phenomena (research, theory, prevention, or rehabilitation) are urged to recognize the desirability of including gang youth as collaborators in such efforts. 673 references, 11 tables, and 1 figure. This study evaluated the effectiveness of the Gang Prevention Through Targeted Outreach (GPTTO) and Gang Intervention Through Targeted Outreach (GITTO) initiatives of the Boys & Girls Clubs of America. The study examined whether the clubs were attracting youth at high risk of gang involvement, whether clubs could keep GPTTO and GITTO youth participating in the club or program, whether GITTO and GPTTO youth were receiving positive supports through participation in the club, and whether participation had positive effects on the lives of GPTTO and GITTO youth. The evaluation involved 21 clubs that used the prevention approach and 3 that used the intervention approach. Survey results indicated that GPTTO and GITTO were meeting their goals. 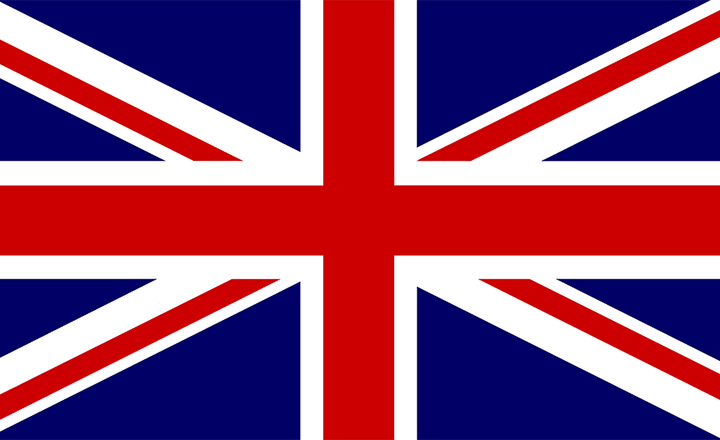 Clubs attracted and retained youth at high risk of gang involvement. GPTTO and GITTO youth received key developmental supports at the clubs that they might otherwise seek through involvement with gangs. Those who participated more frequently experienced positive outcomes. The estimated incremental cost per youth per year of the GPTTO and GITTO approaches were far less than the cost of gang suppression. Four appendices include sample sites; survey sample at baseline and follow-up; construct list with items, response categories, and reliability coefficients; and analytic strategies. Girls in gangs require services that respond to their unique experiences and needs. 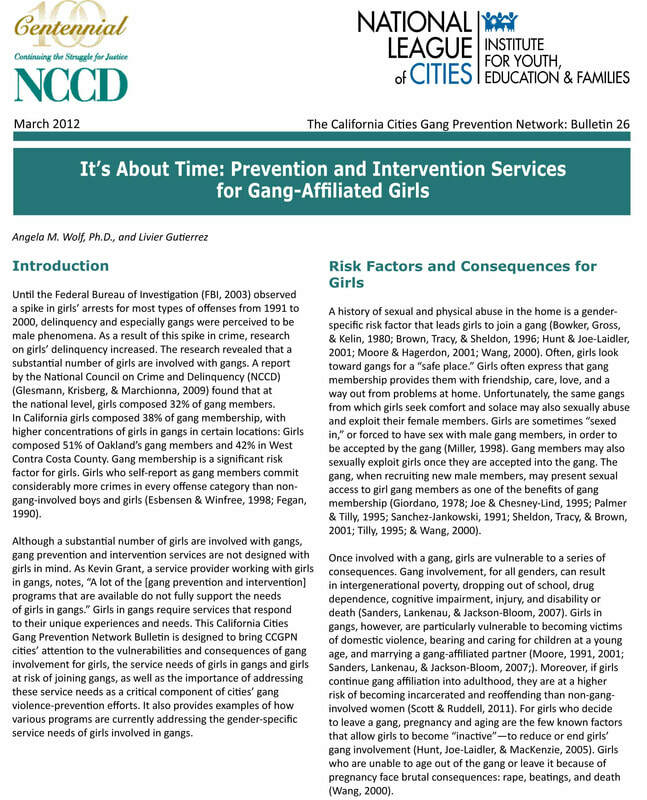 This California Cities Gang Prevention Network Bulletin is designed to bring CCGPN cities’ attention to the vulnerabilities and consequences of gang involvement for girls, the service needs of girls in gangs and girls at risk of joining gangs, as well as the importance of addressing these service needs as a critical component of cities’ gang violence-prevention efforts. It also provides examples of how various programs are currently addressing the gender-specific service needs of girls involved in gangs. Street outreach workers are an important part of the Senator Charles E. Shannon Jr. Community Safety Initiative (CSI) comprehensive gang and youth violence reduction strategy in Massachusetts1 . Street outreach involves the use of individuals to “work the streets,” making contact with youth in neighborhoods with high levels of gang activity. These individuals are generally not employed by the criminal justice system agencies but rather are based in community service organizations or other non- governmental agencies. Street outreach workers provide an important bridge between the community, gang-involved youth, and the agencies (whether social service or law enforcement) that respond to the problems of delinquency and gangs. 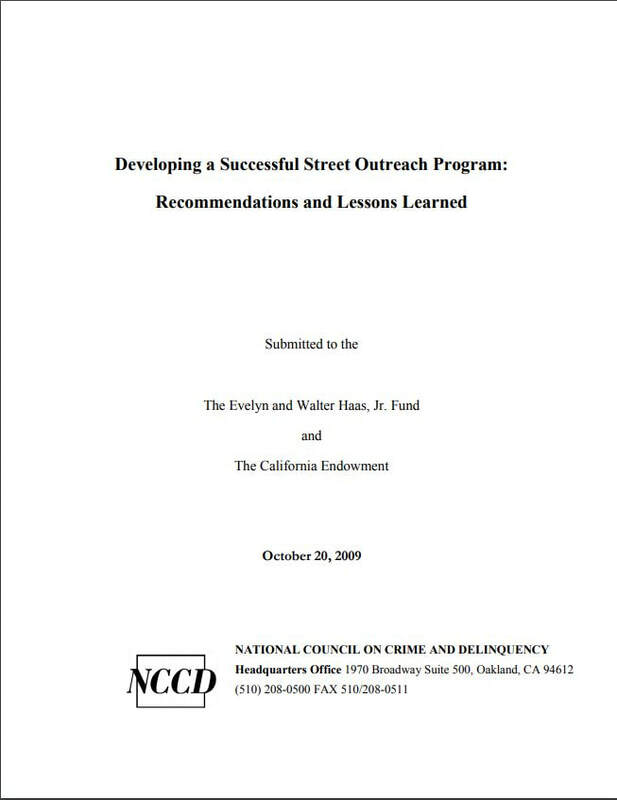 This guide offers information, guidance, and lessons learned from street outreach programs nationally and within the Massachusetts Shannon CSI communities to help guide existing street outreach programs and support communities considering developing new street outreach programs. 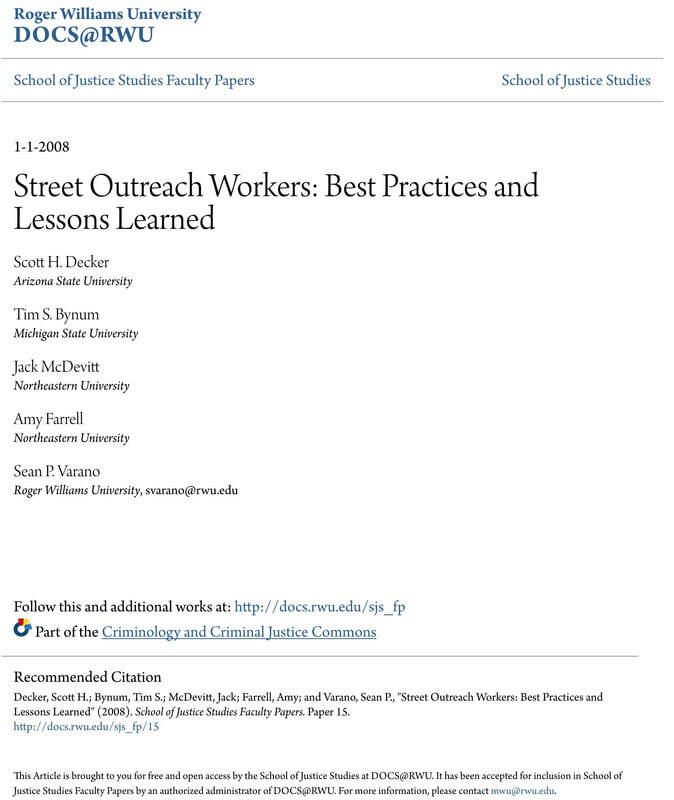 Street outreach has reemerged as an important component of comprehensive gang control strategies. Communities throughout the nation are implementing outreach programs, and local governments are becoming interested in both cooperating with outreach workers and regulating this work.